Loomstate !Act Natural! Blog: 321 Challenge: Aya Tank Recap! 321 Challenge: Aya Tank Recap! 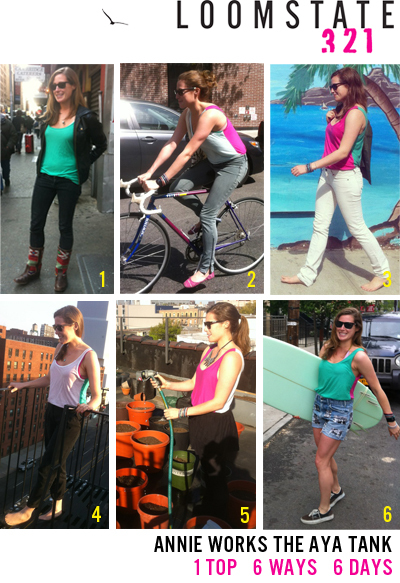 Annie wore the Aya Tank in Pink, Green & White 6 different ways for 6 days. This isn't for the "laundry-adverse"... you can wash it, silly! Shop the Aya Tank at Loomstate.org.